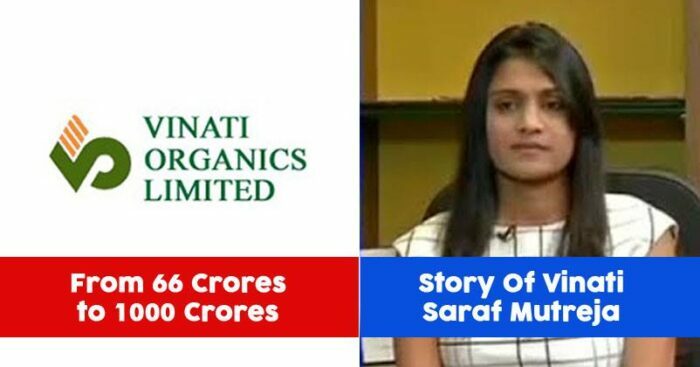 Vinati Saraf Mutreja, the CEO & Managing Director of Vinati Organic Ltd (VOL), with her hard work and dedication, has raised the company profits revenues from ₹66 crores to ₹1,000 crores. Not only that, the company has been ranked one of Asia’s 200 best under a Billion Dollar companies by Forbes. Though a middle-class upbringing, as a teenager Vinati used to accompany her father on sales visits and board meetings. This exposure led her to pursue chemistry, engineering, and business at the University of Pennsylvania. After joining VOL in 2006, her biggest challenge was to transform their loss-making ATBS plant into a world-class facility that could take global competition head-on. Today, Vinati’s strategies and resilience have made ATBS the largest asset for the company also the largest manufacturer in the world. Vinati believes that in a factory one has to start right from scratch and then rise up to the position of a manager. In today’s world, women “can do it” considering the factory conditions have improved. According to her, the manufacturing industry is all about delivery and numbers and it hardly matters whether you are a man or a woman. She claims her personality makes her unique in this industry and also the extraordinary listening capabilities. 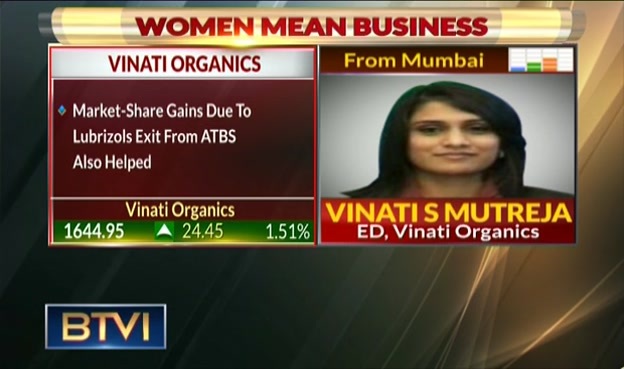 Vinati shares that the vision of her company is to grow at 20-25 percent every year. This is proven by the fact that when she joined the company in 2006, the market capitalization of VOL increased to Rs 8000 crores from the initial capital Rs 20 crore. She is a woman who knows her company and its advantages with weaknesses. She wants to focus on increasing their already improved margins. Along with this, increasing their market footprint is a priority as the company’s existing products have limited market potential. A proud woman, career-focused and futuristic at the same time, Vinati Saraf Mutreja entirely justifies the position of a CEO.